Better Place LLC, a U.S. startup developing charging stations for electric vehicles that started putting cars on the road this week, expects to go public in the next two years, Chief Executive Officer Shai Agassi said. Better Place, based in Palo Alto, California, has raised $750 million since it was founded four years ago and is in partnership with Renault SA (RNO) to install electric-car charging systems in Israel, Denmark and Australia. Cars are expected to start using the company network in Denmark within weeks and Australia later this year, Agassi said. The local capital expenses of the roll-outs will be funded by debt rounds in Israel and Denmark. In Australia, an equity round is planned to finance the introduction there, Agassi said. In China, where Better Place opened a visitors’ center in the southern city of Guangzhou last month, the company may raise money locally if it starts to expand there as part of its partnership with China Southern Power Grid Co. Better Place is building at least 20 roadside switching stations across Israel (ILCO), which enable car owners to exchange spent batteries within five minutes, much like pulling into a gas station, Agassi said. Plug-in hybrids and all-electric vehicles have the potential to make up 9 percent of auto sales in 2020, according to Bloomberg New Energy Finance. That could rise to 22 percent of sales by 2030, or four million vehicles. 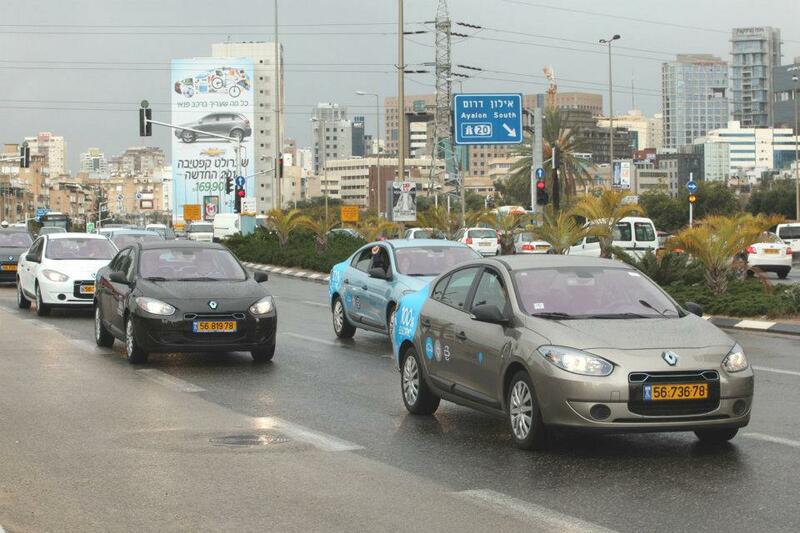 As many as 10,000 cars using Better Place stations will be on Israel and Denmark’s roads by the end of the year, said Agassi, who skipped his annual trip to the World Economic Forum in Davos this year to oversee the Israeli roll-out. Israeli Prime Minister Benjamin Netanyahu has made cutting the nation’s dependence on petroleum one of his government’s primary goals. Israel’s energy imports are often connected to the geopolitical situation in the region, seen in multiple attacks on its gas pipeline from Egypt over the past year. “We buy batteries and sell at the price of oil so it is a great business to be in between those two elements,” according to Agassi. The visitors’ center in Israel has been expanded into a car retail showroom, where the Renault Fluence ZE model is being sold from 122,900 shekels ($32,500), including a subscription for fuel miles.